Proposal for the Opera and the Media of the Future Mini Web Opera Project. Edgar Allan Poe’s last work, which he did not live to finish, is a 4-page incomplete draft for a tale (or a novel?) that is commonly known as The Lighthouse. It is in the form of a diary kept by a new lighthouse keeper, a man who has just started this job in a completely remote location. However, his positive attitude towards the isolated place is undermined by two factors, internal and external respectively: on the one hand, the man’s recent past, to which a few ambiguous hints in the text are addressed; on the other hand, the architectural structure of the building, that looks somehow unsafe – especially when the sea conditions are adverse. 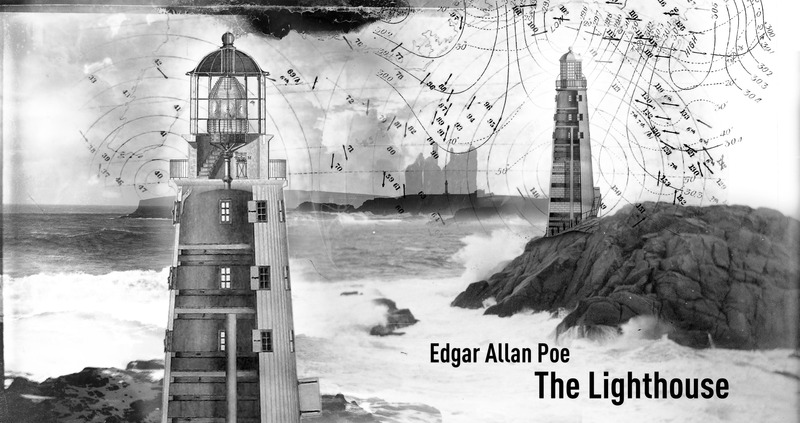 The virtual scenography of the opera is planned as a stylized representation of the lighthouse, made by an illustrator. The different parts (rooms, windows, walls, etc.) of the building will function as expandable environments linked to specific audio-visual elements, such as short videos or excerpts of Poe’s text. The aesthetic perspective, chosen to transform the unfinished tale into a web opera, is disembodied subjectivism. The internal point of view of the story is, of course, the first-person narrator, but his body is not going to be seen in the web opera: his eye can become the eye of every visitor of the website, free to move around the building. The various diary entries, corresponding to each day, are presented synoptically, in a visual environment where only the first day (describing the man’s arrival at the lighthouse) acts as an introduction, while the following two days (one placid and sunny, dealing with the issue of loneliness; the last one quite frightening, though almost scientific in its description of the man’s hypotheses about the inner structure of the walls) are to be reconstructed from hints associated to specific parts of the building. This mini opera can be easily related to the operatic tradition of dramatic monologues such as Poulenc’s La voix humaine, although here the minimal dimensions and the different medium allow a more interactive connection with the audience. The ‘scenes’ are not fixed, nor are they necessarily complete: every single visitor can engage in different ways with the building, creating his/her own path – although the project’s modest funding and close deadline would not allow very complex hyper-textual structures. However, the core of the work will be its musical element. The main reference here is the field of concrete music, as some of the ‘hints’ will be based on soundscapes, variously processed with the addition of other sounds (see for example my previous work Santa Barbara Portraits) that will convey psychological states induced by the explored space. 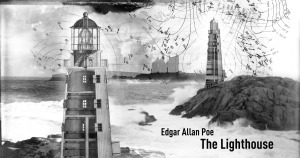 However, in some hints the main character’s voice will also be heard: very short ‘recitativos’ with electronic music (still including concrete music), corresponding to specific passages in the text, will provide subjective ‘readings’ of Poe’s suggestive words.